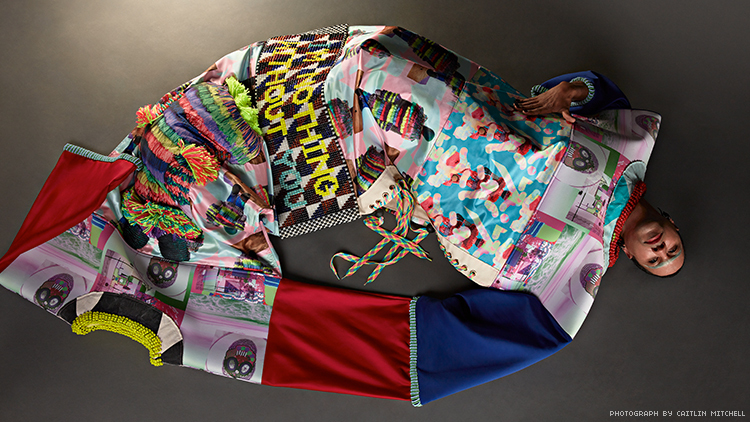 With massive garments and technicolor paintings, artist Jeffrey Gibson is here to inspire. 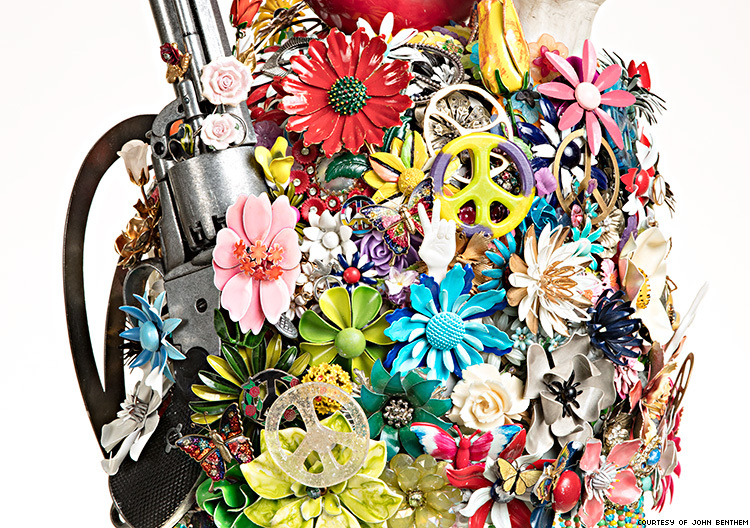 What we wear has always served as a means to wield power. With wigs and makeup, drag queens summon larger-than-life alter egos; with a colored handkerchief tucked in the back pocket of his Levi’s, a gay man can broadcast his sexual appetites; and with studs, nose rings, and leather jackets, punks can call out to members of their subculture while also fending off anyone they may want out of their path. Through the ritual of getting dressed, we are transformed, by visual language, into someone entirely new — identified and differentiated by our chosen armor. 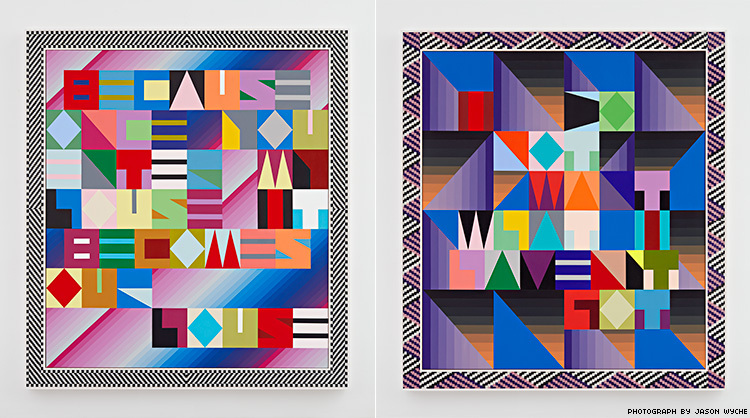 This notion was the launching point for Jeffrey Gibson’s exhibition “This Is the Day” at the Wellin Museum in Clinton, N.Y., one of four solo shows now on view from the 46-year-old artist. 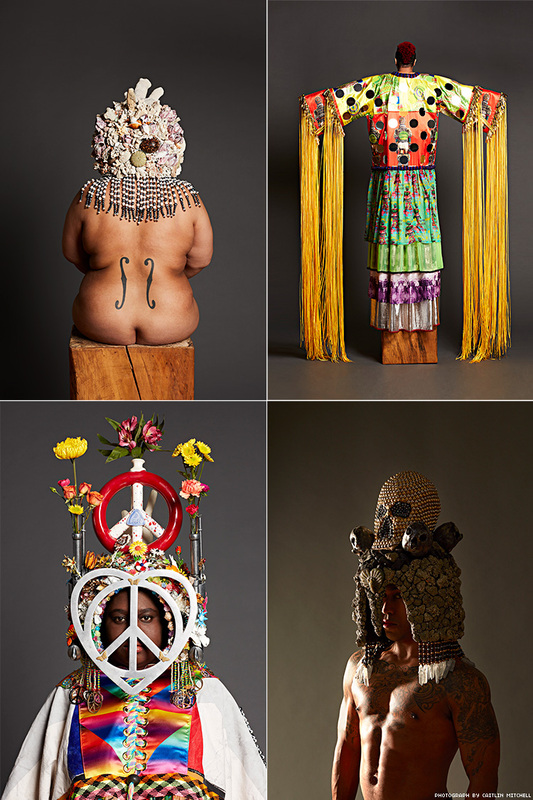 In addition to more than 50 works of sculpture, painting, and video, there are five helmets decadently adorned with found objects, and seven glorious large-scale tunics hung from tepee poles. 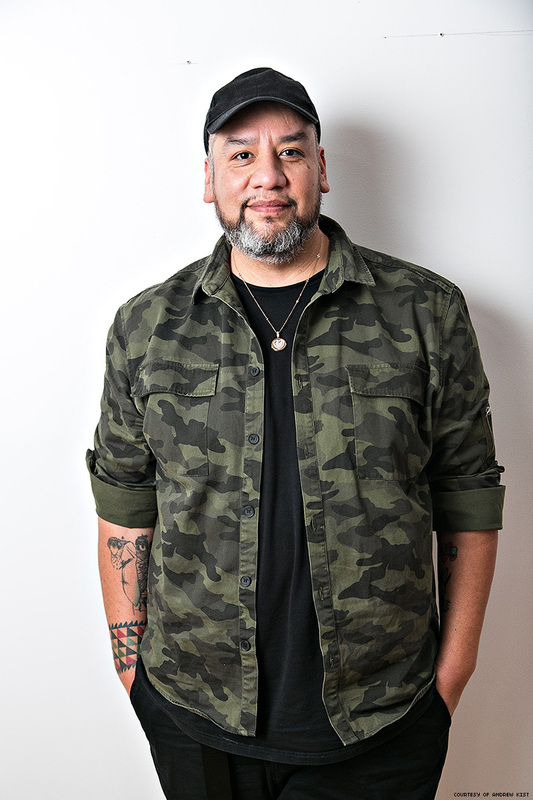 A gay man and a Native American of Choctaw and Cherokee heritage, Gibson has woven his own multifaceted identity within the fibrous layers of these tunics, which reference traditional shirts associated with the Ghost Dance movement, originating with the Paiute in the late 19th century. Another just-opened exhibition, “I Am a Rainbow Too” at Sikkema Jenkins Gallery in New York City, shines a light on Gibson’s painting since 2010, showcasing a series of compositions in which, for the central imagery, he has lifted lyrics from ’80s and ’90s club hits, along with melancholy words from Nina Simone, one of his longtime inspirations.